The NABC Foundation Court of Honor Gala was developed to bring recognition to an individual and the game of basketball while raising foundation awareness and important financial support to the NABC Foundation and its charitable and educational programs. 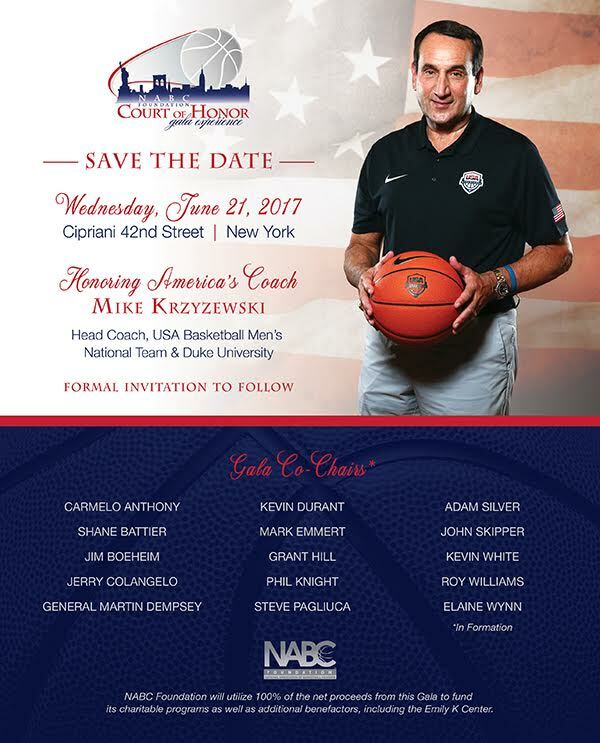 This Spring the NABC will hold a special event in New York City on June 21, 2017 to honor Coach K. The event will benefit two of Coach K’s favorite charities – the National Association of Basketball Coaches (NABC) Foundation and the Emily K Center in Durham. During the Gala, guests will join the basketball community in presenting the Court of Honor Award. The Award is presented to an individual, businessman, educator, etc., who has roots in college basketball, values those roots in the game and has gone on to distinguish himself in his profession, exhibiting the highest standards for leadership. 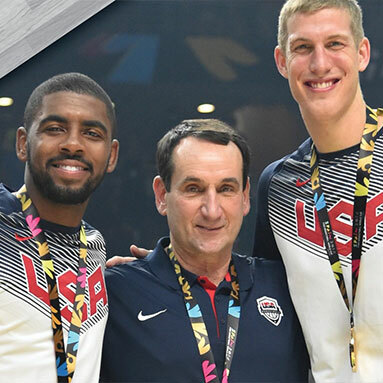 For more information about the 2017 Court of Honor Gala celebrating Mike Krzyzewski, please visit www.courtofhonorgala.com.